As a resource manager, you know that engaging the right resources for the right projects for the right amount of time is always a challenge, especially because you need to predict the future somehow. The good news is that you can use Project Web App for Project Online to analyze historical resource usage data captured in similar past projects. With this data you can more confidently forecast resource needs for future projects and even for your entire organization. You can then create models in upcoming projects to more accurately define the who, how, and when of resource engagement. If your organization has been using Project Web App for Project Online for at least one or two completed projects, you can use the historical data captured in those projects to help forecast resource needs for upcoming similar projects. For example, you might be able to use information from a system deployment project implemented two years ago to collect resource information for a similar deployment planned for next year. With historical project and resource data, you can analyze the types of resources used and their skill sets. The first place to look for the types of resources used in a completed similar project is on the Build Team page. Here you can see the names of all resources assigned to a selected project. In the Quick Launch, choose Projects. In the Project Center, choose the name of the completed similar project you want to review. To open the Build Team page, on the Project tab, in the Navigate group, choose Build Team. Make a note of the resources listed on the right side of the view. These are the team members for the selected project whose information you’ll be researching for your forecast. Tip: It might be easier to print or add a screen capture of the page to your notes. Now that you have the names of the resources who worked on the project, you can look at the resources individually on the Edit Resource page, and gather information about their functional skill sets, work units, and costs. In the Quick Launch, choose Resources. The Resource Center page opens. The Resource Center lists all resources in your organization’s resource pool who are set up in Project Web App. The team members of the project you chose are among this list. Select the check box next to the name of the first resource you want to research. On the Resources tab, in the Resources group, choose Edit. The Edit Resource page opens, showing details about your selected resource. For information about the type of resource, look at the RBS, Resource Departments, and Code fields. The Code field is sometimes used for job titles or job codes. Tip: If a code is present in the RBS field, you can press the Select Value button (the ellipses button) to see the full resource breakdown structure. An RBS is a hierarchical outline of functions which is often used to define resources from a functional or role-based point of view in a project. This contrasts with the department name or human resources job title in a company. If your organization has set up an RBS to detail functional skill sets and it’s been set up in Project Online, this is an excellent place to help determine the types of resources to recruit for upcoming similar projects. For information about how much of this type of resource was assigned to this project, look at the Current Max. Units (%) field. For information about the resource’s costs, look at the Standard Rate, Overtime Rate, and Cost/Use fields. Note any information that’s useful to you. Again, print or capture the page if that’s easier. In the Resource Center, select the check box next to the name of the next resource you want to research and repeat this process. Note: While people assigned to project tasks are considered work resources and are the most common project resources, equipment is another type of work resource. There are also material resources and cost resources. Refer to Add a resource to Project Web App to learn more about the different types of resources. Gain insight into when and how many resources were used throughout the project lifecycle by analyzing the actual time that resources spent working on their task assignments. The Resource Assignments view provides time-based information useful for future planning, for example, when a resource was added to the team and when their tasks ended, and also when their peak times were during the project. In addition to seeing actual hours spent on individual tasks per time period, you can see rolled-up totals for phases or for the entire project. This information about actual hours worked would have ideally been reported by resources through their submitted timesheets, although project managers might have entered them as well. Select the check box next to the names of the resources whose actual time you want to research. On the Resources tab, in the Navigate group, choose Resource Assignments. The Gantt Chart view appears for the project assignments of each of the selected resources. On the Assignments tab, in the Display group, choose Timephased Data. The view changes to show Planned, Actual, and Overtime hours for each task in the project, grouped by the different resources selected. The timephased portion of the view shows the number of hours per time period. 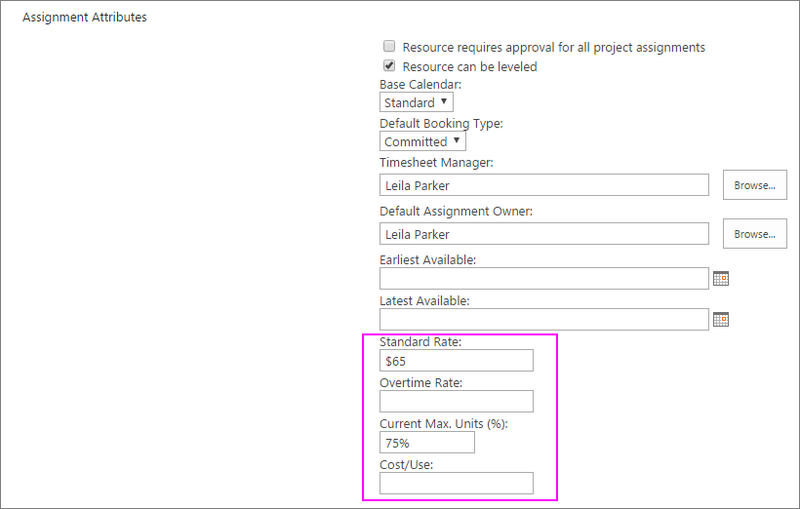 To review summary information per time period, in the timephased portion of the view next to the project name, see the values in the rolled-up Actual and Overtime fields. To get the total actual and overtime hours for the resource on the entire project, click in the timephased portion of the view, and then press the End key to navigate to the Total field. You can review resource reports and lessons learned summaries from a previous similar project. To see the Resource Overview report for the completed project, on the Quick Launch, choose Reports. In the PWA Reports page which appears, choose your language. The three sample reports are listed. To open the report in Excel Online, choose Resource Overview. To download it to your filing system, click the bubble to the left of the report name, and then, on the menu bar, choose Download. Navigate through your file system to find the location where you want to save the report, and then choose Save. If the completed project went through a lessons learned exercise, find the summary document and see what information it has about resource types, skill sets, cost, and usage. It might be stored in the document library for the project. In the Project Center, choose the name of the project whose lessons learned document you want to open. In the Quick Launch, choose Documents. The Documents page for the project opens. On the menu bar, choose Download. Navigate through your file system to find the location where you want to save the document, and then choose Save. Tip: If you don’t find a lessons learned file in the project’s document library, contact the project manager and the resource manager if applicable. Interview them to learn what you can about their experiences with resource demand. When you’ve analyzed previous similar projects for useful resource information, you can develop your forecasts for future projects and possibly for the portfolio of projects throughout your organization. From your analysis, create a list of resource types and their skill sets, ideally with the help of an RBS. Then, in Project Web App for Project Online, add a new generic resource for each resource type or job title you might need in future projects. A generic resource is a resource you can add to the Project Web App resource pool that represents the job title, skill set, cost per hour or per use, and availability levels. On the Resources tab, in the Resources group, choose New. On the New Resources page, in the Type section, select the Generic check box. In the Display Name box, type the generic functional name of the resource. For example, instead of a person’s name, type a title or function like Designer, Writer, or Developer. Complete any other fields that might be useful for modeling resource requirements along with their associated scheduling and costs. For example, enter any information you might have for the Base Calendar, Standard Rate, Overtime Rate, Current Max. Units (%), or Cost/Use fields. 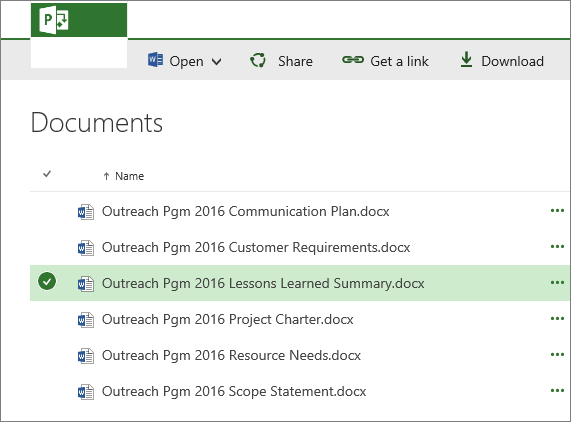 The new generic resource is added to the Resource Center and is now available to be added to project teams. Note: Generic resources often apply to people, but you can also identify generic resources for equipment and material resources. In upcoming projects, you can work with the project manager to build the team by using the set of generic resources. In this way, when modeling an upcoming project, you can forecast resource requirements and costs without artificially committing actual resources to a project that doesn’t yet exist. In the Project Center, choose the name of the project you’re modeling. On the Project tab, in the Navigate group, choose Build Team. 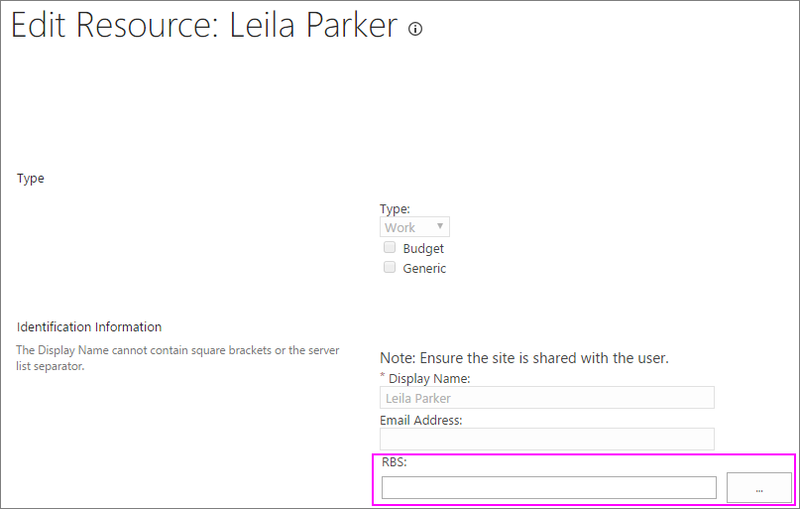 In the left table on the page, which lists your Project Online resource pool, select the check box next to the generic resource. Between the two tables, choose Add. On the Team tab, in the Team group, choose Save & Close. The generic resource is now added to the current project’s team. You or the project manager can now assign tasks to this generic resource. When the project gets the go-ahead from the managing stakeholders, you can recruit actual resources that meet the criteria, and replace the generic resource placeholders. Select the check box next to the name of the generic resource you want to replace. On the Edit Resources page, in the Type section, clear the Generic check box. In the Display Name box, replace the generic functional name of the resource with the name of the person. Complete any other fields for which you have information. Of particular interest for scheduling, usage, and cost are the RBS, Base Calendar, Earliest Available, Latest Available, Standard Rate, Overtime Rate, Current Max. Units (%), or Cost/Use fields. Throughout any projects, the generic resource is replaced with the name and information of the new, actual resource, both on the Build Team page as well as in project task assignments. Job titles, costs, job codes, and departments are entered on the Edit Resources page for each resource. An RBS is created and periodically updated for all skill sets and associated with all resources in the Resource Center, which is the Project Web App resource pool. Team members update the project schedule with their actual hours from their periodic timesheets. Every project team goes through a lessons learned exercise and uploads the summary document to the Project Web App document library for the project. If your company has a project management organization or portfolio manager, these practices can be instituted as a standard for all projects. You can also ask your Project Online administrator to make resource fields that you identify required rather than optional. How do I use maximum units for resources? Do you think I need to jump through all these kinds of hoops to create a report where timephased assignment work is compared with timephased capacity for (filtered) list of resources? I admit, my initial response was that it should be quite easy. Simply pull a couple tables together into PowerPivot and work up a report. As I progressed through the mental exercise though, I found it to be a bit harder than I anticipated. So Bram, I agree with you, there are a couple of hoops to jump through to get the standard timephased capacity report out of Project Online. That being said, it is possible. I’m not sure I’d want to do this in a real production environment, but I suppose it’s a good lesson. So the challenge I set before myself was to see if I could create a stacked bar chart showing projects and capacity using OData. Essentially, I am recreating the Resource Center view. The first question you should be asking yourself is “Why? Why would I recreate out of the box functionality?” The general answer I would give is because the Resource Center is dumb. That’s not dumb as in it has a poor design. No it’s dumb because it ignores nuances. For instance, I might have a bunch of projects in discovery that I want to filter out of this view – or I might have cancelled and archived a couple of projects. At present, there’s no real way to be selective about which projects appear in this view. Hence, it’s actually quite common to develop custom views that emulate the out of the box Resource Center functionality. Before OData, you would have had to write a query against the SQL databases to get this data. There’re a couple of ways to do this, but the easiest method I’ve found is to basically treat Capacity as a project in its own right, i.e. to use a UNION ALL command to join project and capacity data. The problem I found with OData is that it’s quite difficult to get the equivalent of a UNION ALL command to work. Essentially what you have to do is to create a master table with all of the possible rows in your table, i.e. all of the resources and days, then map either Capacity or Demand to each of the respective rows. That master table is tough. I tried it in Excel 2013 with a reasonably powered PC, and kept running into performance limitations – probably because I was trying to create a table consisting of 100 projects X 140 resources X 365 days (in 2013), yielding a master table of approximately 5 million rows. No matter how I tried it, I couldn’t get it to work. Hence the hack. What I realized is that I just needed to use Project Server and hack the source data by adding rows to the Assignments table that could be used to hold capacity calculations for each of the resources during each of the days I would like to analyze. That reduces the total number of extra rows I’d have to create to 140 resources X 365 days = 51,000 rows – in addition to the existing assignment rows. What’s the best way to create those rows in the Assignment table? Well, by creating fake assignments for each of the resources. To do this, I created a new enterprise project called “Capacity.” On this project I assigned 1 task and set it to 1 year in duration. I then assigned every resource in my resource pool to the task. To keep these assignments out of the Resource Center, I go into the Resource Usage view and flag everything as Proposed. Publish the project and fire up Excel. Feel free to take a moment and peruse some of my other posts on reporting against OData if you’re not entirely comfortable with PowerPivot quite yet. You’ll note that I am filtering the timephased data to only give me 2013 data, as with OData, it’s important to take performance into consideration and minimize the sheer amount of data imported. To build the data model, I borrowed a trick from this blog post by Kaspar de Jonge and created my own merge column. This formula displays the appropriate work column – except for the Capacity project, wherein it will pull the correct row from the ResourceTimephasedDataSet. The RELATED function is basically playing the role of a Vlookup. To minimize the charting overhead, I’ll also simplify the date field to render by month. …although the Capacity line keeps reverting back to a bar whenever a filter is applied – which is kind of annoying. This goes back to something I read in someone’s blog post while researching this, which is starting to resonate with me – and validate Bram’s comment from the beginning of this post: PowerPivot is really designed for the ad hoc analyst pulling data together periodically. It still has some way to go before it’s an enterprise tool for creating stable repeatable reports. After going through this exercise, my modified response to the initial comment: sure, it’s possible to do timephased reporting, but you’d be much better off skipping capacity and just sticking to the demand part of the equation. That would be quite easy to do – and would require none of the hoop jumping I just detailed above.